I ran into this notice on Facebook. 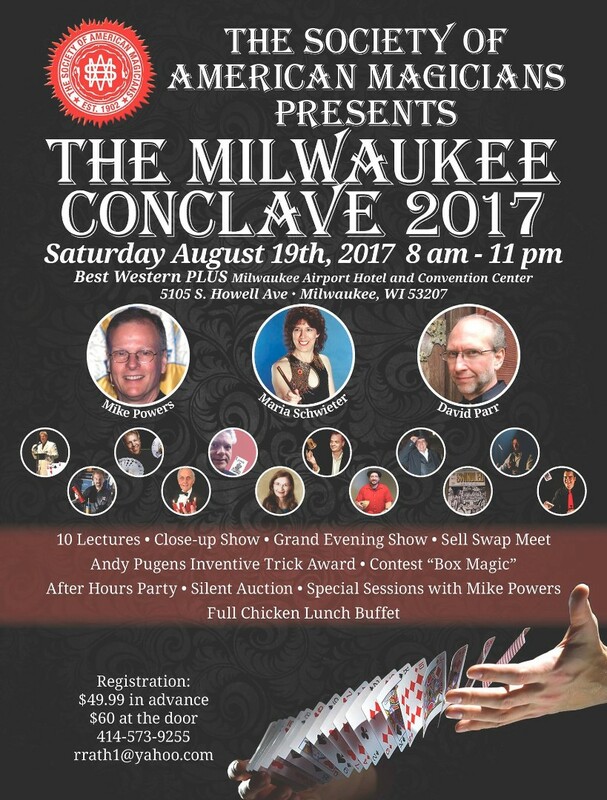 It looks to be a pretty good deal for 50 bucks if you are in reasonable driving distance of Milwaukee. Our own Mike Powers is the headliner and is presenting a 2 hour symposium and performing close-up, I believe. Heck, I may even fire up the jalopy and trundle up that way. I thought some may be interested. And to think that we are blessed to have "special sessions" with Mike Powers almost monthly! I'm looking forward to this one day convention. I think it will be very worthwhile. Hope to see some Forum members there! Seriously though, looks like quite the bargain. Cheese! - It is Wisconsin! Thank you I/M for posting this. Where are you? You can PM me if you wish. I am in Chicago.